At 49-years-old, Mubarez Ahmed still struggles with the painful parts of his past he can never change. Eighteen years behind bars, hard time he says he served after a crooked police sergeant robbed him of his freedom. 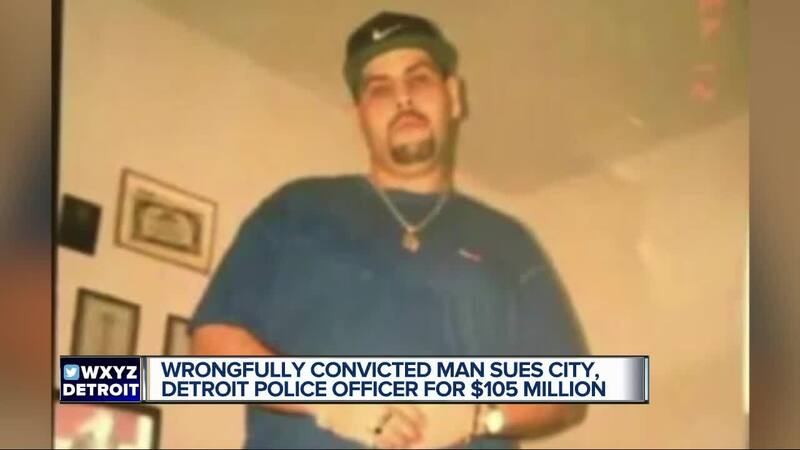 DETROIT (WXYZ) — The City of Detroit has been slapped with a $105 million lawsuit after a man was wrongfully convicted of a 2001 double homicide. Mubarez Ahmed, now 49 years old, was recently set free from Dickerson Detention Facility in September after serving 18 years for murder he did not commit. According to Ahmed's attorney, "Inside this lawsuit are disturbing allegations against a former Detroit police homicide Sgt. who is accused of framing a man for murder." In 2001, Ahmed was locked up for the murder of two people gunned down in their car. He and attorney Wolfgang Mueller shared evidence they say proves he was setup by a sergeant who gave false testimony, withheld crucial evidence and misled a witness. Ahmed says while in prison, he missed out on time with his children. He’s just recently been able to reunite with his daughter who is now in her 20’s. The accused police sergeant is employed with the Detroit Police Department.